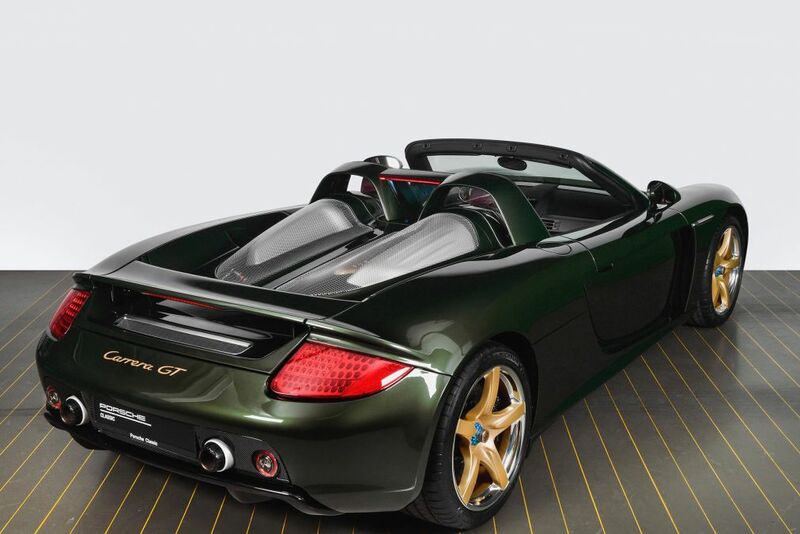 The Porsche Carrera GT is ‘only’ 15 years old which is very young to undergo a full restoration but it was not the choice of the manufacturer themselves as the owner requested it himself. Not only did it undergo a full nut and bolt restoration at the factory, it also received a few distinguished specification changes. 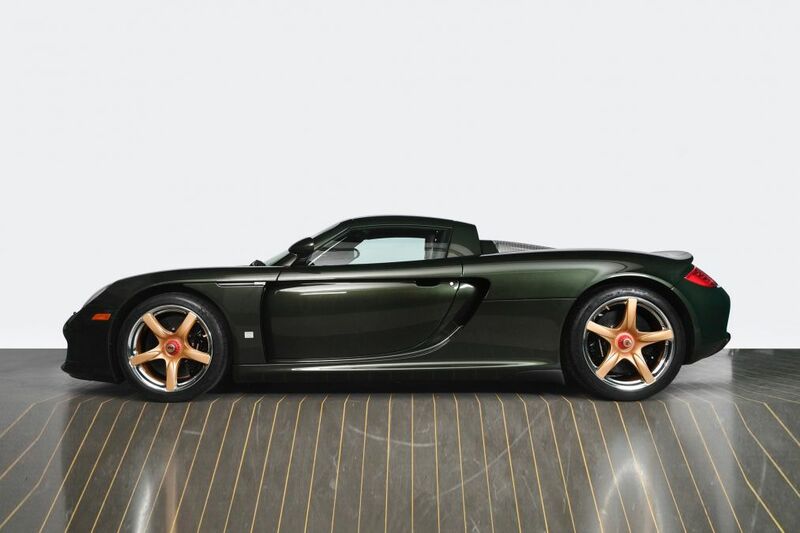 The iconic V10 supercar received a new paint job called Oak Green Metallic, a colour that first appeared on Porsche’s palette in the 1970s. 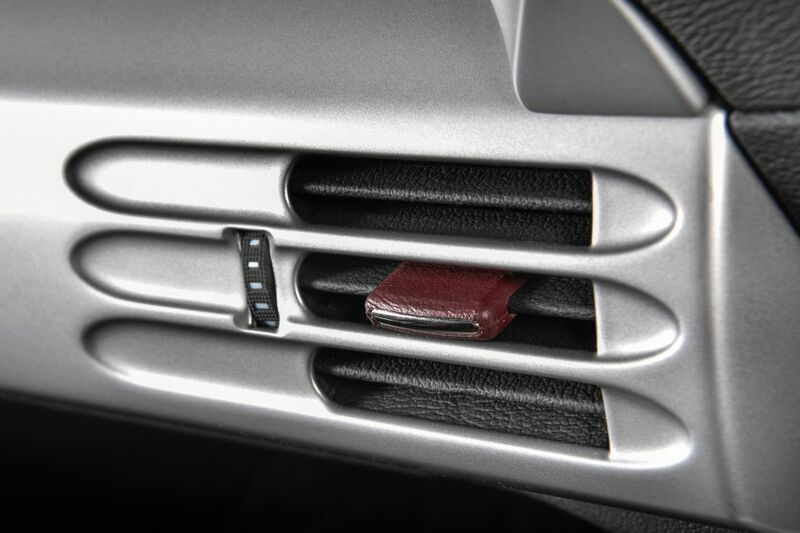 In order to recreate this shade, Porsche Classic had to get involved, as this shade has not been in use in recent times, let alone available on the standard Carrera GT. 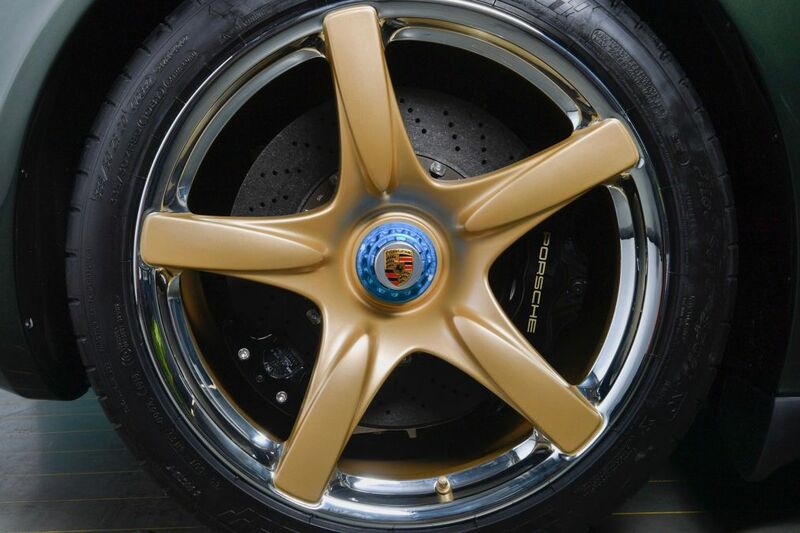 As you will notice, the wheels also received a bespoke finish, partly painted in a contrasting shade of gold, with a separate polished rim. This was not a simple process at all so we suggest the owners steers clear of any kerbs. 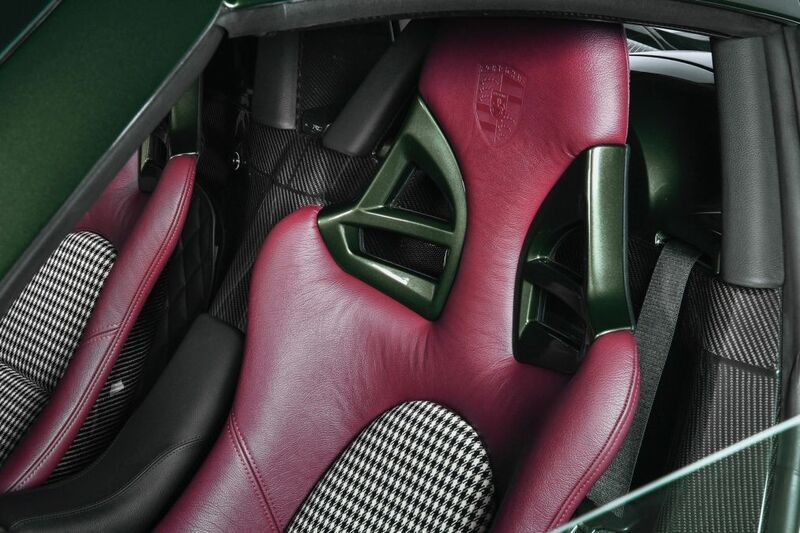 The owner also applied his creativity inside, partly upholstering the carbon fibre buckets in Porsche’s classic houndstooth fabric, offset with a spectacular shade of mulberry leather. 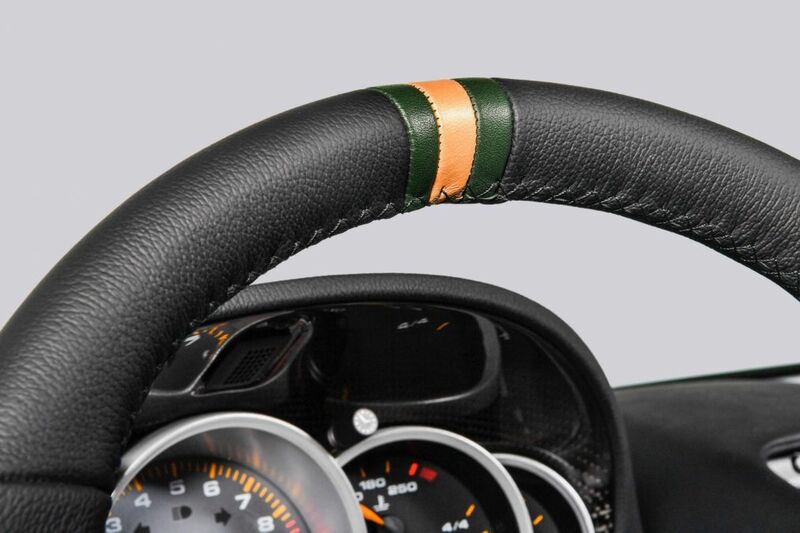 The steering wheel, air vents and interior carbon parts also received attention, a highlight being the corresponding green and gold centrepoint stitched into the steering wheel. All the exterior carbon components were also refinished, with over 350 man-hours spent sanding and re-lacquering in order to remove the milky finish that so often affects early carbon components that have discoloured due to UV exposure. 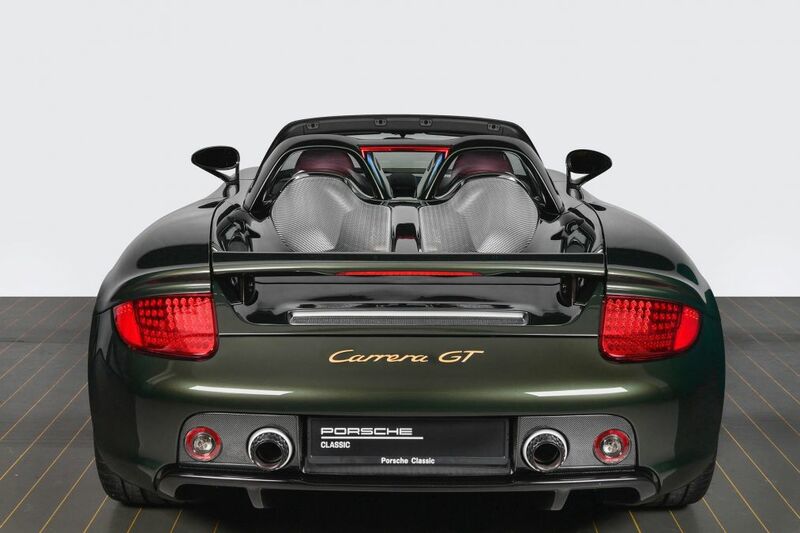 The result, one very special Carrera GT, and an example that is distinctive among the relatively limited pallet of classic Porsche colours usually seen on the model.